IN A REAL JAM? WE HAVE YOU COVERED. We have been doing business with 4B Plastics since 1982. We have always received excellent workmanship and service. They have extensive knowledge of different ball valves and seat design. Whether we need a same day turn-around or standard delivery, they have been able to accommodate our needs. WE SERVE CHEMICAL PLANTS, PAPER PLANTS & VALVE REPAIR SHOPS WITH BEST-IN-CLASS OEM REPLACEMENT PARTS, QUICK TURN-AROUND TIME, AND EXCELLENT CUSTOMER SERVICE. WE ALSO MANUFACTURE CUSTOM ORDERS. CALL 225-272-7454 TODAY. A FEW OF OUR MOST POPULAR PRODUCTS. No longer do you have to wait weeks or months for OEM replacement parts. It doesn’t matter who made the equipment. 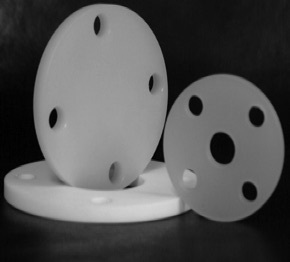 The Master Machinists at 4B Plastics will custom machine the parts you need to your specifications in just days. Need a rush job? We offer that as well. We understand that quality parts begins with quality stock materials. 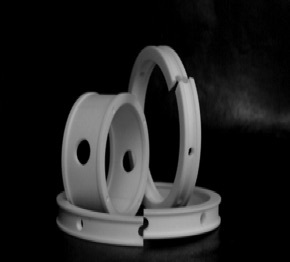 By molding our own PTFE rod and tube stock we can maintain quality control from the molded billet to the finished parts. If you wish to purchase materials to machine yourself we offer that also. 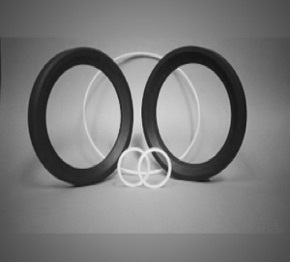 4B Plastics stocks and sells compression molded unfilled and filled PTFE, as well as a variety of other specialty thermoplastics.From lantern rings and compressor rings to V-rings and Valve Repair Kits, from Bushings and Bearings to Seals and Gaskets, 4B Plastics custom machined replacement parts will guarantee a better fit and quicker repair.